• Wooden or Stainless Steel Cabinets– without adequate space for storing your daily essentials, the bathroom is incomplete. Now one can add well crafted pieces that are not just storage providers, but also a style statement. These necessities can keep your bathroom neat and uncluttered. • Furniture Packs for Bathroom – in today’s space deprived times, rooms have become compact, making it difficult to buy and match individual accessories. Bathroom packs give you all necessary accessories with a matching looks, making it easy to do-up your bathroom, without costing a bomb. Now just chose the right one and get yourself a ready-made bathroom. • Mirrors – these accessories can be a delight and change the entire look of your bathroom, if it’s well placed and properly selected. They can add space to compact bathrooms and create a cozy ambience, when paired with artistic lighting. • Shower essentials – nothing can refresh one like an invigorating shower, with modern features and exclusive elements. Shower kits offer a wide range of features, like different spray shower patterns, heat controls and Led and heat sensitive lights that add to your bathroom ambience. These days, there are various kinds of Shower accessories and kits available, which can transform your shower routine into an unbelievable experience. • Tubs – One of the simplest luxuries in the civilized world today is a long and satisfying soak. Indulge yourself and rejuvenate your mind and body, with a smart bathtub, which is one of the most crucial elements of any bathroom. 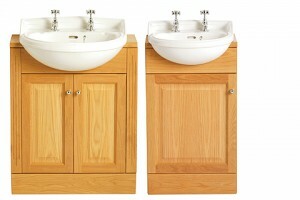 Choose from a large variety of designs be it traditional or contemporary and enhance the look of your bathroom. Tubs today are available with advanced construction and can give you a truly relaxing bath. • Basins – one of the most used bathroom essentials, which can alter the entire feel of your bathroom. Basins are no more restricted by old styles and shapes, but now are available in different materials and designs, allowing you to create your own theme. Easy to clean, basins today are highly functional, and come in a lovely range of colours and styles. • Toilet Accessories – Details can drastically alter the comfort and the aesthetics of your bathroom. Toilet seat covers, floor rugs, brush holders and tissue roll holders, etc all add to the overall look and convenience factor. Check that all this compliment with the overall décor. • Water dispensers – taps and mixers can substantially enhance one’s bathroom experience, with their modern features and trendy designs. Today a host of taps are available with exclusive designs and functionality, which is an asset to your bathroom. A properly chosen design can change the entire look of your bathtub or basin. • Shower curtains – these are highly practical in nature, primarily giving you much needed privacy and keeping water contained. Nowadays, shower curtains are available in a wide range of patterns and colours, which can brighten up any bathroom. 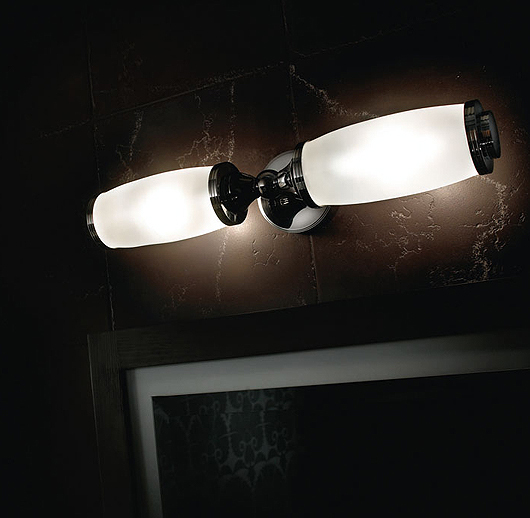 • Lighting – this last element is often overlooked, during bathroom decoration. With well planned and cleverly placed lighting, you can have best of all worlds. Bright light for utility and soft artistic haze, for those long spa experiences in your tub. 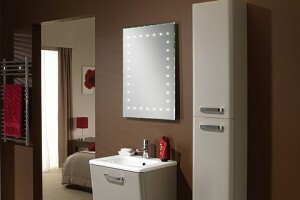 Light can also give a compact bathroom a spacious feeling. This entry was posted in Bathroom Furniture and tagged Residential Bathrooms. Bookmark the permalink.